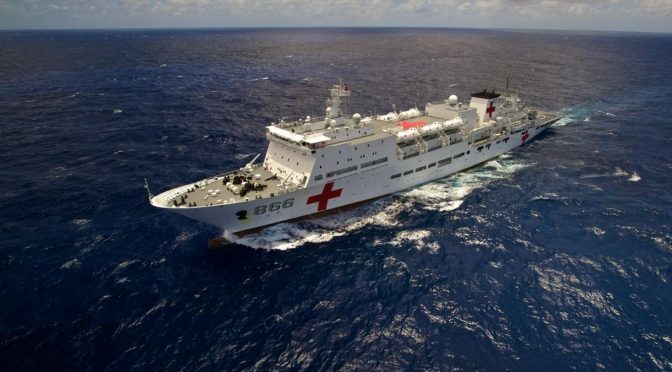 USNS Comfort (T-AH-20) has become a regular visitor of Latin American and Caribbean waters as it often carries out humanitarian operations in those regions. Mostly recently, it was deployed to Puerto Rico to assist those affected by Hurricane Maria. 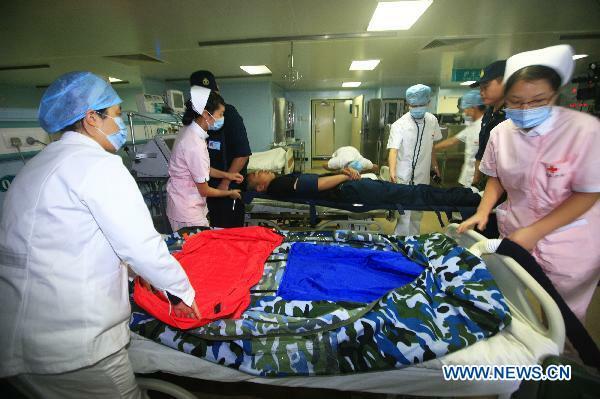 Furthermore, there is now an extra-regional hospital ship which is also traveling to these areas, namely China’s Peace Ark (866 Daishan Dao), a Type 920 hospital ship that is operated by the People’s Liberation Army Navy. Given that the governments these two platforms belong to are experiencing growing national security tensions it is necessary to discuss their activities and put this medical diplomacy in its proper geopolitical context. We will not supply an exhaustive list of Comfort’s operations throughout Latin America and the Caribbean, but will rather provide some highlights. Most recently, as previously mentioned, Comfort was deployed to Puerto Rico to assist those in need after Hurricane Maria hit the island. The vessel also traveled to Haiti after the 2010 earthquake to assist with the relief and support efforts as part of Operation Unified Response. Additionally, Comfort has been deployed to the region as part of initiatives like the Partnership for the Americas and Operation Continuing Promise. Countries that were visited during these voyages include Colombia, Dominica, Ecuador, El Salvador, Honduras, Jamaica, Peru, among others. 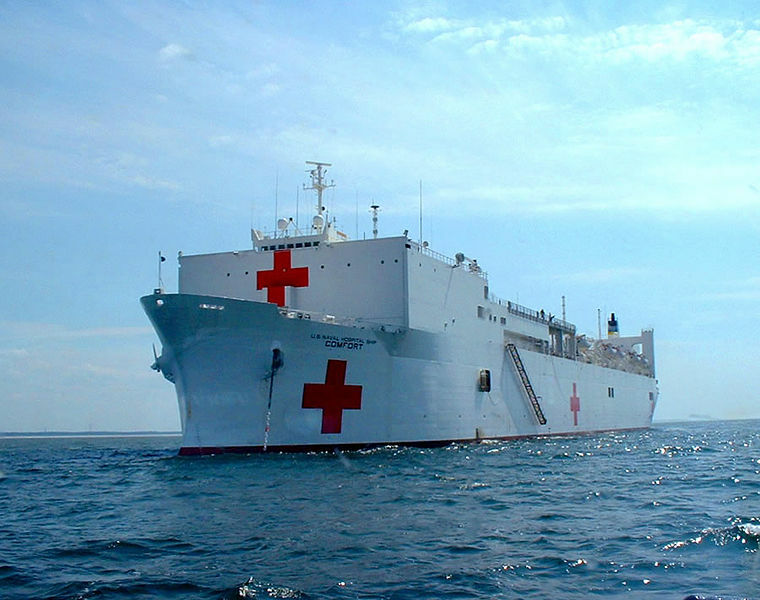 It is worth noting that Comfort is a large vessel, with a length of 894 feet and a beam of 105 feet, the same as its sister ship, USNS Mercy (T-AH-19) – the two are converted San Clemente-class super tankers. According to the U.S. Navy, each platform “contain[s] 12 fully-equipped operating rooms, a 1,000 bed hospital facility, digital radiological services, a medical laboratory, a pharmacy, an optometry lab, a CAT-scan and two oxygen producing plants,” along with helicopter decks. Hence, the vessel is able to provide for vast numbers of patients simultaneously with different services. For example, according to the magazine Dialogo, some 19,000 patients were treated by Comfort personnel when the vessel docked in Belize and Guatemala as part of Continuing Promise 2015. As for Peace Ark, the Chinese vessel is newer than Comfort, as the former was commissioned in 2008 while the latter was commissioned in 1987 – a two decade difference. The newer vessel reportedly measures 583 feet in length and displaces 10,000 tons fully loaded, and fields a Z-9 helicopter. It also has 300 beds for patients, eight operating rooms and 20 intensive care units. When deployed, its crew is made up of up to 328 plus 100 medical personnel. Because the Chinese vessel has also been deployed throughout Asia and Africa in the last decade, Peace Ark has traveled significantly fewer times than Comfort to Latin America and the Caribbean. Its first tour was “Harmonious Mission 2011,” a 105 day trip in which the platform visited Costa Rica, Cuba, Jamaica, and Trinidad and Tobago. The platform returned to the region in 2015, visiting countries like Barbados, Mexico, and Peru. At a local level, the arrivals of these vessels are a welcomed development as they provide medical services that local populations may not be able to obtain otherwise from their local governments. Thus, it probably matters very little to the inhabitants of these areas whether a hospital ship flies either a U.S. or Chinese flag, as long as they provide health services that are needed. Indeed, articles published by Latin American and Caribbean media outlets that reported visits by either Comfort or Peace Ark included generally positive statements by local authorities and patients. While an exhaustive analysis of each nation that Comfort visits is beyond the objectives of this commentary, it is worth noting that the countries it regularly visits are those that the U.S. has good relations with, though there has been one notable exception. In 2011 Comfort docked in Manta, Ecuador: this is was a significant visit as then-President Rafael Correa was known for his anti-Washington rhetoric and for having ordered the shutdown of the U.S. military facilities in Ecuador in 2009. Thus, it is somewhat bizarre that President Correa would authorize a (unarmed) U.S. ship to enter his country’s territorial waters. It would be interesting if the government of Venezuela would similarly allow Comfort to dock in Venezuela’s coast, given the problematic situation of the country’s health system. Nevertheless, the tense bilateral relations make it highly unlikely that Caracas would authorize such a visit, or that Washington would offer it in the first place. Moreover, as far as the author can determine, Peace Ark has only visited countries whose governments recognize the People’s Republic of China and not the Republic of China (ROC/Taiwan). It will important to monitor if future Peace Ark deployments include countries that still maintain relations with Taipei, as Beijing may be looking to obtain the recognition of Taiwan’s last remaining allies in the region – the latest nation to switch sides was Panama in mid-2017. Ultimately, setting aside the geopolitical motivations for the deployment of these vessels, the humanitarian activities that they carry out ensures that both Comfort and Peace Ark will continue to be welcomed across the Latin America and the Caribbean as future harsh climate events will require greater humanitarian assistance and disaster relief operations. In 2017 alone, regional navies had to carry out major relief operations. Case in point, the Peruvian Navy (Marina de Guerra del Peru) deployed several platforms to the country’s northern regions to provide assistance after torrential rains hit many areas. Similarly, the Colombian Navy (Armada de Colombia) has deployed offshore patrol vessels to transport humanitarian aid to areas hit by floods. Even more, the Honduran Navy (Fuerza Naval) has acquired a multipurpose vessel, Gracias a Dios, to combat maritime drug trafficking and to provide assistance to coastal communities. In other words, humanitarian assistance has been a key component of naval strategies, and its importance will only increase in the near future, meaning that support from allies will remain a necessity for many Latin American and Caribbean states. 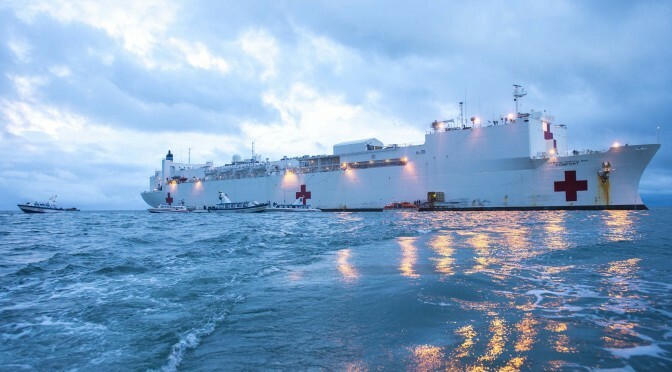 USNS Comfort and China’s Peace Ark have carried out commendable humanitarian work throughout many coastal communities in Latin America and the Caribbean as their tours in these regions have helped individuals who would otherwise have trouble accessing medical services. These humanitarian assistance deployments will continue to be necessary in both the short- and long-term. As for the geopolitical value of such deployments, they are a non-dangerous and effective example of “soft power” via which both Beijing and Washington utilize to maintain and improve their image in these regions. The military plays an integral role in dangerous humanitarian operations. What are these operations and how exactly does the humanitarian world work? 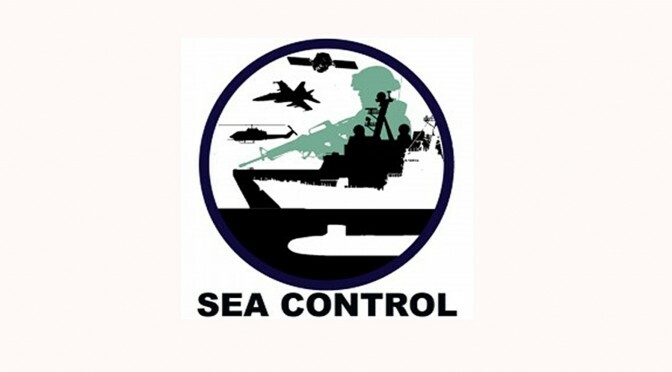 Join us for the latest episode of Sea Control for a conversation with CDR Andrea Cameron of the U.S. Naval War College about her work at the intersection of security policy and humanitarianism. She talks about the different kinds of humanitarian operations, how the military gets looped in, and provides guidance for how people in uniform can better operate in a complex environment. A transcript of the interview between Andrea Cameron (AC) and Matthew Merighi (MM) is below. The transcript has been edited for clarity. Special thanks to Associate Producer Ryan Uljua for producing this episode and Associate Producer Cris Lee for the transcription. Note: these views do not necessarily represent those of the U.S. Naval War College, the U.S. Navy, or Department of Defense. MM: So, as is Sea Control tradition, please introduce yourself and tell us a little bit about your background and how you got to where you are now. MM: So, you mention the term permanent military professor a couple of times in your intro, what is that role, how did you get selected for it? What are the benefits and drawbacks, how did you get to be in that particular role? AC: So, permanent military professor is a lateral transfer. If you’re selected, the Navy funds a PhD program for you and your obligated service is basically the rest of your career through statutory retirement, while you’re serving as a professor at one of the Navy’s educational institutions. It’s a very small community, we have about 80 billets. And four of them are at the Naval Postgraduate school, three are currently at the Naval War College, and the rest of them are all at the Naval Academy. MM: So what do you have to do to become a PMP? AC: The community is generally open to the unrestricted line and information warfare corps, but other restricted lines can be considered. Every year there’s a NAVADMIN that comes out that says what fields of study we’re trying to find people for, and when that time comes, be ready. When I tell some what I do, I hear, “that’s my dream job” or “I want to do that.” So, I usually give out two general pieces of advice. One advances in your designator, and to be a permanent military professor, you need to be an O-5 or O-5 select, and they do that because it hits the sweet spot of that junior O-5 level. You have enough time to get a PhD and also a lot of years of teaching at one of the institutions. And the second one piece of advice that I’d give everyone is to really think of your academic future. This is what you want to do and you want to get selected as a PMP, then you have to be accepted into a PhD program. There are stellar applicants into the program, but if you don’t have a undergrad and a master’s degree in your field and have really good grades that would let you be admitted into a PhD program, then that’s kind of a roadblock. So, if you’re one of those junior officers out there and you think you’d like to do this someday, really think long term about your academic future and build a record that will really shine when your opportunity comes. MM: So, that actually sounds like a pretty sweet deal, are there any drawbacks to be being a PMP because that sounds pretty fantastic. AC: It is, I won’t lie, I’m living the dream job, the primary drawback is that there is definitely lack of upward mobility. When you’re doing this, you’re most likely a terminal O-5. Everyone would love to be considered for those handful of O-6 positions, but when you get picked up, you acknowledge up front in the application that there’s limited career progression and its driven (like every other community) by the needs of the Navy and PMP requirements, so that’s the primary drawback. MM: Okay, so let’s talk then a little bit about what it’s like being a PMP in terms of your research. So obviously you mentioned it at the top, but your field of study that you’ve kept consistent through these different phases has been development and humanitarianism, which let’s just say for most members of the military is atypical. So, what brought you to study those particular fields? How’s that gone so far? AC: It’s going well. I work at the Naval War College and fortunately, they allow you to study every field that can be related to national security interests. Why do I study these? Because I tend to take a broader view of what national security interests are. A lot of times you’ll hear that 4+1 construct: China, Russia, Iran, and North Korea, and violent extremists, and that construct works really well. With those threats, you can identify a country, a place on a map, a leader, a government system, their capabilities, and you can figure out what you want to do to counteract that. And fortunately there’s thousands of people around the world who study this very in depth. I look at national security interests differently. As a country with global interests, politically, economically, and ideologically, there are a lot of national security issues that aren’t covered under this 4+1 construct. One of my favorite phrases is “Threats without enemies.” And if you look at a variety of human security issues, they are threats without enemies, and they’re going to affect our national security interests in the future. MM: That sounds like a bit about the ideas behind human security that we hear about inside the security realm nowadays. There are schools like Fletcher that will be teaching human security issues in the midst of the traditional security studies classes because it’s become such an integral part of the community’s view on things. So, could you give us some examples of how those threats without enemies manifest? Are there ones that are at the top of your mind that you think would resonate with our audience? AC: Human security is often described in the inverse, in the insecurities of individuals, not states. You’ll often hear about economic insecurity, food insecurity, or health or environmental insecurity, those are all broad topics that fall under the umbrella of human security. Within this, there’s a laundry list of things that are covered. Global climate change, food and water scarcity, poverty, urbanization, mass migration, epidemics, all of that falls under this broad umbrella of human security issues. And some of these may not touch us directly, but they’re definitely going to start affecting our partners and allies around the world. I definitely think that this is a good approach to looking at national security issues. MM: So, if this is a good approach, how then does the United States operationalize that in foreign policy? What does that mean? Are there certain tweaks and ways that we do things differently from the past that allows us to go after these sorts of threats without enemies? How does that all work? AC: We tend to look at our foreign policy in this 3D construct, and if you’re not familiar with the three ds they’re defense, diplomacy, and development. And that has evolved over the years. For a long time, defense has been naturally your military arm or your hard power. And diplomacy and development are more of the soft power. This can get rolled up into a formula that can combine the two and they often call it smart power. These are very important things to consider because you want to have a balance. And that’s something that is very hot in the language today with how these organizations are changing. The military, the DOD, is naturally in charge of the defense-D. And the State Department is the lead on diplomacy. And the United States Agency for International Development has the lead for all the development and humanitarian efforts of the United States government. MM: And that’s the construct as it stands now. How is that evolving and changing under the current administration? Is it going to be more of the same, are there tweaks that are being talked about? I know in the news there’s been talks about putting USAID back under State Department. What do you see as the long-term trajectory of that bureaucratic organizational system that currently comprises the 3-Ds? AC: This is a great discussion that’s come out in a lot of places. First, the discussion by the administration of expanding the defense department and wanting the it paid for by the budget proposal the president put forward. In that budget proposal, are increases to Defense and massive cuts to the State Department and USAID. It’s still to be determined whether this is going to happen, if Congress is going to execute the President’s budget as it was submitted, which is probably not likely that it will cut state and USAID to such a great degree. However, we see Secretary Tillerson in State Dept. already reducing personnel, reforming the institution and taking away some of the programs that have long term implications for Foreign Service officers. And that’s all of course, in accordance with the President’s vision of where State should be going. USAID is to be determined. They just confirmed Ambassador Mark Green to lead the USAID and he recently testified before Congress. A slightly different approach to development, which is much more of a hand up, not a hand out perspective. Nothing wrong with that. But what was reassuring was his language about humanitarian efforts in the future. So that’s kind of the current status under the new president and I’ll probably talk about a little bit more as we discuss some of the topics. MM: So, you’ve used a lot of terms so far that I think much of our audience is familiar with, at least on a basic level. But I know that they don’t all mean the same thing. So, you’ve mentioned development, you’ve also mentioned humanitarianism and humanitarian assistance, disaster relief. There are a lot of different layers to this. So, I was wondering if you could walk us through some of those terms now that we’ve got the baseline. What is the difference between development, humanitarianism, and disaster relief? How does that kind of difference pop up in your studies? AC: Development is the broad category and most of our foreign aid assistance falls under the development category. Development is basically when one state or actor helps to improve another’s economy, health, government, social well-being, anything that you’re trying to do. By its nature, it’s inherently political. The United States government is working with another actor to help them out and of course when you’re doing that, there is this natural question of what’s in it for the United States government? There are fourteen different agencies that use foreign aid and assistance: DOD is just one state, USAID, they all have lines of accounting this. In FY16 it was about a $36 billion budget and it effects 142 countries around the world. So, when we’re talking about what does slashing this budget impact, it involves a lot of U.S. government agencies and a lot of countries we work with. The military does development. It usually does it through security cooperation or military-to-military relations. We do some infrastructure building, we do some global health engagement. But a lot of what the military does is through security cooperation. Through exercises, through education exchange programs, institution building, those types of activities give a really good example of what the military is doing for development. MM: Alright, so that’s development. So how does it differ from humanitarianism? AC: Humanitarianism has a completely different mindset. Humanitarian actors provide aid for saving lives or alleviate suffering. And with this, they have some governing principles, they operate under the principle of humanity, impartiality, neutrality, and operational independence. Those principles kind of govern everything they do. They take them very, very seriously. Everything about their identity, their effectiveness, their safety, and authority all derives from these principles. What’s different about governments and militaries is that we cannot be neutral. And we’re not going to be impartial. This is also what makes them different from development agencies. Because of this, that the nongovernmental organizations don’t want to blur the lines primarily by working with militaries. The international humanitarian institutions from the United Nations and the nongovernmental organizations, they all reflect this preference for the humanitarian principles, and as such, working with the military is what they call the last resort. MM: So, if there is that big of a difference between development and humanitarianism, it seems that there is that underlying friction between the humanitarian community and the military, why then did you decide to focus on humanitarian assistance as the field that you wanted focus on for your PMP? AC: I focus on humanitarian assistance largely because I believe there isn’t a conflict that doesn’t have a corresponding humanitarian crisis. And often whatever is driving the humanitarian crisis is probably the root cause of the conflict. And if you look at those escalating human security issues, we touched on earlier: urbanization, food and water scarcity, mass migration, I think the logical conclusion is that we will see more conflicts like this in the future, and if we don’t address the root causes of conflict, you won’t find a way to end the conflict. So, I look at this way so that as my contribution to the study of war. MM: So, let’s dive in deeper. You think that there’s a way to reconcile the military component and humanitarian assistant component that are intertwined and whatnot. But let’s talk about those actors. Between the humanitarian actors and the militaries, go into a little bit more detail about what that friction is, how it manifests, and how that affects the battlespace. AC: So, I mentioned the international humanitarian governments. It was all developed back in the post-Cold War 1990s, at the height of humanitarian intervention missions. So, militaries were all in these types of humanitarian interventions, there still was the use of force, although we labeled it humanitarian, we were not being impartial, we were not being neutral, we were trying to end violence through the use of force. The military was in fact not being a humanitarian actor. In these various events, you might remember Somalia, Bosnia, Rwanda, Kosovo. We had varied levels of engagement and varied levels of results. But in the context of civil-military coordination, it was all developed during this time. Militaries and humanitarians, they work in the same geographic space, but back then we tried much harder to segregate. You work on this side, and I’ll work on this side of the humanitarian space and if we can, we’ll just stay out of each other’s way as much as possible. And this helped reaffirm the humanitarian principles for the humanitarian actors, and it helped mission completion for the military actors. Also during this, the military, being in essence, the belligerent, the NGOs are not compromising their values and they’re not ultimately compromising their mission or their safety. So, they really liked to segregate as much as possible. This has evolved a lot over the years, and basically the concept of having separate spaces no longer exist. The collapse of the humanitarian space forces the nongovernmental organizations and the militaries to work together much more closely. A great example of this is in Iraq and Syria today. Where you get the military operating, CENTCOM is working with USAID and they’re trying to deconflict, that’s the word: Deconfliction efforts. So that the NGOs, if they’re willing to cooperate, provide us some information of where they are, so we cannot be operating in the same space, or be operating at least with some understanding of where they’re working so we can avoid each other. MM: And so, you’ve mentioned sort of the historical foundation of this and mentioned a bit about how it works in Iraq and Syria. Do you see any other changes happening in that relationship as time goes on since clearly that immediate post-Cold War relationship of segregation to where we are now is very, very different? Do you see that as continuing to change or are we in kind of a state of equilibrium right now or do people know what the swim lanes are and people know how to interact with one another? AC: No, we don’t know where the swim lanes are, we’re constantly evolving in this practice, and the government still largely remains the same. Of course, the humanitarian principles still guide the humanitarian actors but their willingness to work around and with militaries is evolving somewhat. Just for their own safety, there’s more and more attacks on humanitarian workers, security has become such an issue for them, that how they view the military and how they can partner with the military, is a constantly evolving thing and we shall see where it goes in the future. MM: So, we talked about development, we’ve talked now about humanitarianism. But there’s also the third aspect, the second half of HA/DR, a term that most people already know, which is the disaster relief element. So how does the instance of a flood or a hurricane or an earthquake change the dynamics between the relief community and the military, and how the military gets involved in those kinds of things. Is it the same? Is it different? What are the rules of the engagement on that front? AC: So, this is what I find the most fascinating about the natural disaster component. Because the sudden onset of crisis really brings the humanitarian imperatives to the front. You want to help this many people, to do these humanitarian missions, save lives, and alleviate suffering. So, whoever the host nation or the affected state invites to assist is doing that. They are there to save lives and alleviate suffering. Counter to everything I’ve just explained, in many countries, the military is actually evolved as a first responder within their own country. Or even a lot of bilateral agreements have been set up that a partner country, agrees that if there’s a natural disaster, a partner country will supply these kind of military resources. So, in counter to everything I just said, because of the different context of natural disaster, now keep in mind the nongovernmental organization still may resist working with the militaries, but it may change the larger the scale of the event. They want to help people, and they need the resources that they didn’t need yesterday. So, this entire notion of being in a disaster, it kind of upends the government with the rules, the norms, and it changes the notion of what can be done with civil-military coordination. This isn’t just true for humanitarians, it also upends military norms. You know, in the military we have the mindset that we’re here to break things and kill people. And in a flash of an event we’re here to build things and save people. So, this isn’t something that Clausewitz has laid the groundwork for previously. The really big question is why does this topic matter? Because we the military, we are doing this now, and we’re going to keep doing this in the future. So, the nature of warfare is changing, what you can do with the military is doing is changing, and we’ll all be better by giving this certain activity some more attention. MM: So, the U.S. military is involved in humanitarian disaster relief mission, but you specifically mention that there are other countries where the military isn’t just an actor, but the primary first responder. So, from your research, which countries are currently configured that way, where the military is the first responder and consequently, which ones of those that are configured that way do you find do the best job and maybe the model best worth emulating rather by the United States or by others? AC: I think, two examples, and unfortunately, they’re countries that deal with these events quite frequently. One that is very obvious is the Philippines. They get typhoons quite regularly and they have a very robust internal emergency management system and they actually just train military and emergency managers routinely so they can be prepared for the next event. Another example, I think of is, Chile. And they have earthquakes quite frequently and occasionally with tsunamis and the military is also first responder down there. That is probably the poster child of how to do it right. MM: So those countries are configured with specifically dedicated units and peoples and processes and whatnot, but for the United States, how then with our configuration, does the military get involved in HA/DR missions? What’s the process? Since a lot of people have some operational experience, how do the tasking orders work, who ends up being in charge? How does the military then get looped into HA/DR missions from the U.S. context? AC: There’s two pieces to this. There’s the formal kind of process and there’s what’s happening when they’re working together. So formally, there’s an event, the host nation goes to the ambassador, the State Department writes it up to the secretary of state and the president, “can we assist this country, they’ve formally asked for our help.” If the government wants to do that, of course the United States Agency for International Development, USAID, responds and the DOD might be tasked as a supporting unit to them. While all of that is happening of course, we watch the news, we know there is an event, there is a geographic combatant commander whose working with the embassy on the ground, who’s already probably working with the USAID people on the ground, and they’re all setting this up so that when the formal guidance comes, the operational orders come, we’re ready to do it. Because it is a natural disaster, there is a small window of opportunity for any geographic combatant commander. They have 72 hours, while all of this formal stuff is happening, the geographic combatant commander has a 72-hour window to save lives and alleviate suffering. And what they’re doing is possibly redirecting their forces, plotting out some logistics, setting up their staffs, task organizing. Whatever they’re doing to get ready so that when the order comes, they’re already in action. The size of the response could be anything from a single ship, to a joint task force, or you might recall the 2004 Indian Ocean earthquake and tsunami, where the joint task force quickly evolved into a combined support force, where other militaries were working with us to support the humanitarian assistants. As soon as an event happens, it’s not just the U.S. government that responds, there is an international humanitarian system that responds, led by the United Nations agencies. Specifically, the Office for the Coordination of Humanitarian Affairs (OCHA). They have a robust cluster system that provides coordination, they also set up coordination cells for middle-of-the-mill cooperation and for civilian-military coordination. And it’s through this broader network that both USAID and supporting Department of Defense resources will all plug into. MM: One of the things that I’ve noticed that we’ve talked about before is that there is a change in the Navy and the aea services strategy, the Cooperative strategy for 21st Century Seapower. The 2007 version that had HA/DR as a core capability, but then it was changed where it wasn’t considered a core capability in the 2015 version. Could you talk a little about then how current Navy and sea service strategy addresses the HA/DR mission? AC: So, the HA/DR mission has now been placed under power projection. And it’s the same assets and capabilities of ship-to-shore movement, that is wrapped up into power projection which is why HA/DR kind of was removed as a core capability. But it’s still something very important to one of our primary missions which is power projection. It’s very interesting to see how this has developed over time. HA/DR is something listed specifically in the QDR. It’s been mentioned in the National Security Strategy. Given that it was already kind of placed underneath power projection in most recent security strategy, I think that will carry through even with the new administration. I don’t think that’s something that is going away. I just think that it will be something that stays core to our mission, but probably underneath the power projection category. MM: So, if it’s not going anywhere, I imagine then it would probably make sense for the people listening to get even smarter on the topic then you’ve already made us in this interview. So, for those people that are out there, especially imagining they’ll be doing humanitarian interagency coordination one day, do you have any recommendations about how people can learn more about this topic and what sorts of sources they should dive into? Since this is sort of an atypical field of study, either in the humanitarian space or inside the military space. AC: There’s two particular training opportunities that I recommend to anyone interested in the subject. First, in Hawaii there’s the Center for Excellence for Disaster Management and Humanitarian Assistance. They have a fantastic course called the HART course: Humanitarian Assistance Response Training. And if you cannot get to Hawaii, they have wonderfully put this online through the JKO, the Joint Knowledge Online. So, it’s the HART course on JKO and anyone can take that with a CAC card. The second opportunity is with USAID military liaison teams put together the Joint Humanitarian Operations Course. They teach it to us, and they travel around to different military commands, the ones most likely to be doing this type of work, and they give you the basics on the USAID-DOD relationship and how in operations we work together. So, if you ever get an opportunity to sit in on what they call the JHOC course, Joint Humanitarian Operations Course, it’s a fantastic opportunity and extremely valuable. MM: So, for those officers and enlisted people out there in the services that don’t have the opportunity to take any of those course, what would you say then is the biggest takeaway for them? So that if they get put into a situation where they need to know about HA/DR they can be at the very least literate in what’s going on? AC: So, most importantly, just remember that the military is a short-term piece of a very large-scale response. And we’re only there for a little bit of time until the civilian response capabilities can be fully established, and then we’re out. And also remember that there’s USAID, they’re the lead agency and if we do this, we are supporting them. There’s much less of them than us, but they are the lead agency when we do humanitarian assistance and disaster relief. MM: Well, since it seems like we’re getting towards the end of our interview, we’ll end it the same way we do all the other episodes. Tell us a little bit about what you’re reading. And what kinds of resources and articles are capturing your attention nowadays. AC: I’m participating in the Women, Peace and Security Conference at the Naval War College and I’m reading a book right now by Rosa Brooks. She previously worked as the counselor to the undersecretary of defense and she wrote a great book about how everything became war and the military became everything. It really shines a light on all the ways that war, and everything else we do that is not war, has been blurred in modern warfare. So, it’s a fascinating book. And the second thing I’m reading right now is unpublished, but it should be published in the next year, it’s a book called How Navies Fight and Win at Sea by Jeff Cares and Tony Cowden, and it really provides an in-depth modernization to naval operational art. It draws on rich operations research background and then it pulls in kind of the prolific naval thinkers like Fisk’s and Wiley and Wayne Hughes, and I think this book, How Navies Fight and Win at Sea, will be kind of a future classic, so no doubt it will show up in some way on CIMSEC when it gets published. Fantastic work. MM: I’m looking forward to giving that one a read at some point. Thank you again Andrea for your time. Appreciate you sharing insights into this unique topic in the military space and best of luck with your research and thank you very much for being with us on Sea Control today. 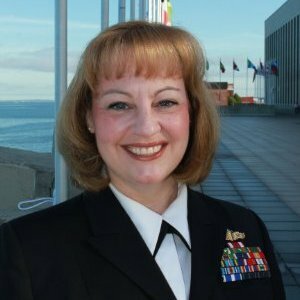 Commander Andrea H. Cameron, U.S. Navy, is a Permanent Military Professor teaching the Policy Analysis sub-course. In 2011, she also completed a Doctorate Degree in Educational Technology from Pepperdine University with research about the Apple iPad in the academic environment. She also holds a B.A. degree in Political Science, a M.A. in Human Resource Development from The George Washington University, and a M.S. in Military Operational Art and Science from the Air Command and Staff College. Matthew Merighi is the Senior Producer of Sea Control and Assistant Director for Maritime Studies at Tufts University’s Fletcher School of Law and Diplomacy. He serves as a member of CIMSEC’s Board of Directors. We hope our readers have gained a stronger appreciation of the importance and complexity of HA/DR missions through our topic week. Thank you again to all our contributors for producing their excellent articles, below is a list of the publications that featured during CIMSEC’s Naval Humanitarian Assistance/Disaster Relief Topic Week. In less than a century, the notion of humanitarian assistance evolved from a global rarity to a significant component of international relations. Military involvement has escalated so much that brief mentions in early strategy documents have turned into entire sections and mission areas dedicated to the subject. From 1970 to 2000, the U.S. military was diverted from its regular schedule to conduct humanitarian assistance/disaster relief (HA/DR) operations 366 times. This leads to so many questions around the issue of military involvement in HA/DR. For example, what does the United States gain from doing HA/DR? With so many more serious priorities, why do we need to examine HA/DR? A professional warfighter may say they specialize in destroying things, not fixing them, therefore concluding that HA/DR should not be in the military skillset. Overall, what is the future of the military’s role in HA/DR? To help answer these questions, we will have to look at the connection between American strategy and maritime strategy. Throughout history, maritime forces were solely defined by their hard power capability. The focus of maritime strategy has historically been the protection of commerce, denial of resources to an enemy, and enabling of ground forces. Previous maritime strategists like Alfred Thayer Mahan, Sir Halford Mackinder, and Julian Corbett make no mention of using maritime forces for assistance related missions. However, the grand strategy of American primacy is founded on maintaining the liberal international order, protecting open commerce and international trade, and spreading American values of freedom and self-determination. Additionally, U.S. interests remain inextricably linked to the peace and security of other countries. With globalization, a disruption to the international system like a natural disaster challenges the security of the United States and the rest of the world—particularly the highly interconnected economic system. And getting back to our maritime strategists–that economic system is primarily safeguarded by the forward presence of U.S. maritime forces. It is those same forces that are well positioned to respond to a natural disaster and minimize the disruption through relief operations. It is the convergence of significant economic interests, international responsibility to the world order, and the global humanitarian values that provides strategic motivations for continued involvement in HA/DR operations. Humanitarian assistance/disaster relief has emerged as a noteworthy piece of U.S. national strategy. The critical turning point was the strategic, political, and military lessons learned from the 2004 Indian Ocean earthquake and tsunami. As a result, HA/DR operations have elevated not only within U.S. strategy, but also received similar attention from navies around the world. For the first time, HA/DR was formally named a maritime core capability in the 2007 Cooperative Strategy for the 21st Century Seapower. While the continued justifications for military involvement in HA/DR vary greatly, the increasing emphasis on this subset of the mission has undeniably grown. Understanding the early military contributions to humanitarian assistance, studying what happened in 2004, and examining the strategic guidance afterward reflects the monumental strategic shift of using hard power assets for this soft power mission. This article captures why HA/DR rose to such a high place in national and military strategy and why the military will most likely increase involvement in HA/DR missions in the future. The United States uses all instruments of national power to support U.S. strategic goals. As an instrument of national power, the military can bring significant capability to a disaster relief operation beyond the host nation and international community’s capacity. While all services can and do play a role in humanitarian assistance/disaster relief, the Navy and Marine Corps are uniquely positioned for this mission. Largely self-sustainable, forward deployed, flexible, and trained for mobilization of sea-to-shore assets, the maritime services can provide assistance quickly, on location, and without exacerbating the ashore capacity constraints. Additionally, strategic lift, medical support, construction battalions, air traffic controllers, and maritime pre-positioning ships all contribute to HA/DR. With the end of the Cold War, the 1990s saw the rise of naval presence as a mission set in and of itself. Peace and economic prosperity were facilitated by developing and maintaining regional stability through the Navy’s forward presence. Also, forward presence could shift from unobtrusive peacetime operations to power projection in short order demonstrating United States commitment while simultaneously promoting American interests. The Navy and Marine Corps evolved as the key crisis responder in a variety of military-operations-other-than-war. Planning and conducting HA/DR was included in this broader category. 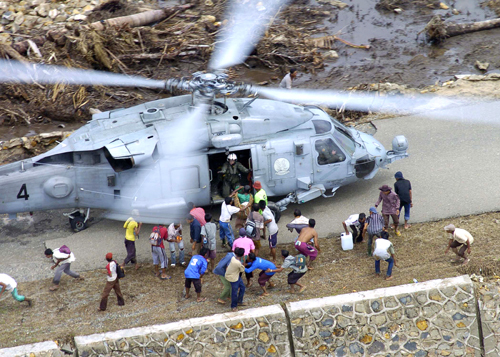 Reflecting U.S. values, the Naval Operational Concept of 1997 stated: “When disaster strikes, we provide humanitarian assistance, showing American compassion in action.” HA/DR also provided an opportunity to work with joint and coalition partners to improve operational cohesion and mutual trust. While HA/DR was by no means predominant, it was routinely mentioned in naval guidance as one of the operational capabilities of the service. After the terrorist attacks of September 11, 2001, President Bush increased humanitarian assistance particularly in support of spreading democracy throughout the world. In pursuit of the global war on terror, aid was provided to states for improving governance—particularly in areas with ungoverned spaces in which terrorists could dwell. Military-conducted humanitarian assistance was considered part of the preventative actions in the active, layered defense of the United States homeland. After 9/11, military involvement in humanitarian assistance shifted to preventative measures in the fight against terrorism. While these are two very different justifications for humanitarian assistance, the events of the 2004 Indian Ocean earthquake and tsunami significantly altered the role of humanitarian assistance/disaster relief in U.S. strategy and for the military. At 7:59 A.M. on December 26, 2004, a 9.15 magnitude earthquake occurred off the western coast of the Sumatra island of Indonesia in the Indian Ocean. During the earthquake, the seabed rose by as much as 16 feet in some areas—displacing an estimated seven cubic miles of water and causing tsunamis across the Indian Ocean. In total, there were over 225,000 reported fatalities and missing people and nearly 1.2 million displaced people. The worst damage occurred in the Banda Aceh province on an island of Sumatra, Indonesia, resulting in 163,000 people dead or missing and over half a million displaced. Basic infrastructure like shelter, medical capacity, transportation routes, emergency services, power, communication, and sanitation were lost. The main highway connecting Banda Aceh to the rest of the island was washed away, cutting off the major city from land-based support. Thailand also reported 8,000 dead or missing. Sri Lanka reported 38,000 dead and missing and 500,000 displaced, and India reported 16,000 dead or missing. Other countries impacted include Maldives, Seychelles, Somalia, Tanzania, Kenya, and one fatality recorded as far away as South Africa. Overall, this one event had a significant impact on all countries around the Indian Ocean and for a variety of reasons had a global affect as well. Animation of 2004 Indonesia tsunami Source: heche un gas [http://www.noaanews.noaa.gov/video/tsunami-indonesia2004.mov video Animation provided by Vasily V. Titov, Associate Director, Tsunami Inundation Mapping Efforts (TIME), NOAA/PMEL – UW/JISAO, USA. President George W. Bush made the first public commitment of support three days after the earthquake and tsunami. On December 29, 2004, he announced the initial aid contribution of $15 million and military assistance. As more accurate reports came in, he increased the aid to $35 million on the same day. While the primary responses of state department and defense department were already taking action to coordinate efforts within the region, the perception of delayed global leadership put both President Bush and Secretary of State Colin Powell on the defensive. The United Nations Emergency Relief Coordinator, Jan Egeland, openly accused the United States of being stingy with respect to the global crisis. Although massive mobilization was occurring to support relief efforts, the president was losing ground with international public relations and the perception of weak U.S. leadership. By December 31, based on more accurate reports of the damage, President Bush increased the United States contribution to $350 million. The American response far out-weighed the contributions of any other state, however, the political handling of the situation displayed a perceived passivity, lack of global leadership, and general lack of respect for human life abroad. While untrue, there was the perception that American actions did not match American values. As the United States proceeded in coordinating the global response until the international humanitarian system became established, President Bush consistently had to battle the negative global perception that happened at the start of the event. By the end the United States government donated $950M and American citizens donated $700M to charities. The U.S. military response was immediate. While the State Department holds the lead in foreign disaster relief, geographic combatant commanders have the ability to act in a window of 72 hours without President/Secretary of Defense approval, provided the combatant commander coordinated with the local Chief of Mission. Based on this authority, the United States military response started before the political response in the 2004 Indian Ocean earthquake and tsunami. Immediately upon notification of the tsunamis, Admiral Thomas Fargo of Pacific Command (PACOM) and Admiral Walter Doran of Pacific Fleet (PACFLT) authorized ship movements toward the region—particularly off the coast of Indonesia. Soon thereafter, at the direction of the President, the Secretary of Defense authorized PACOM to establish a disaster response operation: Operation Unified Assistance. By December 28, before President Bush publically announced the first proclamations of U.S. support, PACOM already established Joint Task Force 536 (JTF 536) and appointed USMC Lieutenant General Robert Blackman from 3rd Marine Expeditionary Force to lead the efforts. By December 30, the first C-130s arrived and December 31 the first helicopters arrived. The headquarters was up and running by January 2—one week after the event. On January 3, the JTF evolved to Combined Support Force 536 (CSF 536) to include and coordinate the assets brought forth from other nations. Australia brought 900 troops to Aceh province, Japan contributed two ships and 350 troops, Singapore provided tank landing ships and helicopters, and Britain, Germany and China supplied medical teams. By January 5, a week and a half after the event, the United States had 25 ships, 45 fixed-wing aircraft, and 58 helicopters and a total of over thirteen thousand military personnel supporting the HA/DR mission. 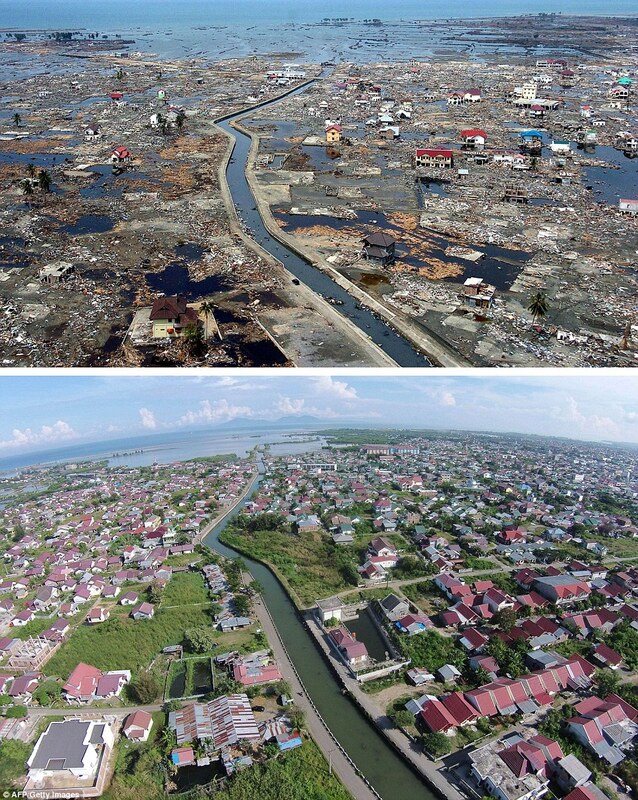 The district of Banda Aceh in Aceh province, located on Indonesia’s Sumatra island, just days after the massive Boxing Day tsunami of 2004, and below it the same location photographed on December 1, 2014. Maritime support was vital to this HA/DR mission. The concept of sea-basing was put to the test since Banda Aceh lacked the land based connection and U.S. ships with supplies were available right off the coast. This kept the U.S. military footprint ashore to a minimum, while still delivering significant amounts of aid on short notice. Aid was loaded onto aircraft and maritime pre-positioning ships coming from Japan, Guam, and Singapore staged with relief supplies. Those ships would transfer the supplies to the other ships off the coast and then return for more supplies. Then, the carrier strike group and amphibious readiness group would send supplies ashore using helicopters and Landing Craft Air Cushions (LCAC). The majority of the personnel working relief operations never had to be housed or fed ashore. Operation Unified Assistance proved the operational merit of sea-basing. The first week focused on the delivery of food and water, rescuing survivors in isolated, cut off areas and delivering medical aid. By the second week, clearing rubble, demolition, tearing down damaged buildings, and salvaging materials to rebuild became the major focus. Most immediate needs were met by mid-February and international and non-governmental organizations were now in place to continue the delivery of aid. CSF 536 ceased operations on February 14, 2005. The total military operation lasted a month and a half, but delivered over twenty-four million pounds of relief supplies and performed 19,512 medical procedures. Numerous lessons learned emerged from the experience with the 2004 earthquake and tsunami. First, the greatest lesson learned by the United States was to better manage the politics and public relations. While the state and defense departments responded with immediacy, the delayed public statements by President Bush gave the impression that the United States would not live up to its values nor lead in a time of need. In the end, the United States, particularly the military, displayed leadership and coordination in a time of crisis and provided solid support to the overwhelmed host nations, United Nations, and governmental and non-governmental organizations all trying to help. The strength of naval capability and coordination also proved the sea-basing concept in support of humanitarian missions in sensitive areas. Another key result for the United States was a reassurance of military support in the future to allied countries in Asia as well as an improved relationship with Indonesia. After Operation Unified Assistance, the United States ended an embargo on military goods and normalized diplomatic relations with Indonesia. U.S. actions also countered the anti-Muslim perception created by the Iraq War and increased public opinion of the U.S. in Indonesia by 39% Internationally, key lessons included education, preventative measures, and pre-coordination. Finally, given that the same event affected so many countries, this showed that countries that had conducted previous exercises and coordination events to prepare for a natural disaster fared better in responding to an actual disaster. These lessons permanently changed the perception of state response to HA/DR. Internationally, the norms of humanitarianism and state-to-state collaboration had evolved to such a degree that states are expected to offer assistance in times of need. The minimal response of China, a rising international actor, was internationally ridiculed. The delayed political response of United States signaled strategic weakness in global leadership, holes in the security umbrella, willingness to come to the assistance of allies, gaps in forward presence supporting the economic system, and a compromise of U.S. values. Whether true or not, and most of this is untrue, the United States became acutely aware that the proper handling of this type of HA/DR mission has significant strategic consequences. Shortly after the 2004 Indian Ocean earthquake and tsunami, two major events also supported a changed mindset for humanitarian assistance/disaster relief. 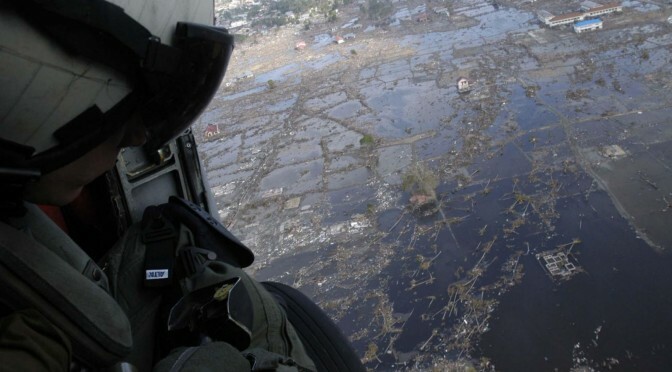 On August 29, 2005, Hurricane Katrina struck the Gulf coast of the United States resulting in over 1,800 fatalities and $125 billion in economic damages. Then, on October, 8, 2005, a devastating earthquake in Pakistan killed over 73,000 people and displaced 500,000, prompting another large-scale U.S. HA/DR response supported by the military. Both events created a heightened awareness for the impact of natural disasters and reinforced the lessons of the 2004 Indian Ocean earthquake and tsunami. National strategy started to reflect the new approach. This section chronicles the various ways HA/DR permeated U.S. strategic guidance after the 2004 Indian Ocean earthquake and tsunami. President George W. Bush’s 2006 National Security Strategy listed humanitarian assistance in a stand-alone section at the end of the document addressing international engagement and globalization. Factors like trade, investment, information, and technology were changing the geopolitical landscape in ways that could threaten national security. This strategy placed humanitarian disasters in a category with failed states and ungoverned areas that could become safe havens for terrorists. While climate change was not specifically mentioned, environmental destruction (man-made or natural) addressed these disasters. The tone was matter-of-fact, that the capacities of local governments may be overwhelmed requiring a larger international response and the “full exercise of national power, up to and including traditional security instruments.”  United States assistance demonstrated global leadership, unattended events could threaten national security, the U.S. was willing to create new partnerships, and had ardent desire for preparedness and improved coordination. It was the 2007 Cooperative Strategy for 21st Century Seapower, signed by the service chiefs of the Navy, Marine Corps, and Coast Guard, that fully elevated humanitarian assistance and disaster response to one of the six core capabilities of the sea services. The strategy in general placed a great emphasis on the maritime role in maintaining the global economic system and international order—reflecting a broader strategic perspective compared to a typical threat-based approach. HA/DR now held its own place amongst the traditional maritime capabilities of forward presence, deterrence, sea control, power projection, and maritime security. In 2010, President Barack Obama’s National Security Strategy broadly addressed both climate change and humanitarian assistance. Not only did this reflect the change in leadership, but also the devastating effect of the 2010 Haiti earthquake that resulted in over 222,000 fatalities. The new strategy included humanitarian assistance as part of promoting dignity through meeting basic needs and broad international cooperation for global challenges. For the first time, a national security document reflected the Intergovernmental Panel on Climate Change (IPCC) reports that portend that as a result of climate change, natural disasters will be increasing in frequency and effect. Follow-on strategy documents continue to reiterate the humanitarian assistance mission in a wide variety of contexts. Secretary Robert Gates’ 2010 Quadrennial Defense Review connected HA/DR with climate change and energy security as well as regional destabilization as a result of climate change. The 2011 National Military Strategy addressed HA/DR in strengthening international and regional security—focusing on the joint, interagency, and theater security cooperation aspects before, during, and after an event. The 2012 Defense Strategic Guidance includes HA/DR domestically in support of civil authorities and internationally to provide military response options to major events. By the 2014 Quadrennial Defense Review, HA/DR was listed as one of twelve mission priorities requiring military advice to the President. The QDR also categorized HA/DR as part of the power projection capability of the military. In President Obama’s 2015 National Security Strategy, HA/DR is also mentioned in the context of building our national defense, building partner capacity, and confronting climate change. As the documents show, while the HA/DR mission is a constant, the highlighted reasons for doing it keep shifting. In the 2015 Cooperative Strategy for 21st Century Seapower, HA/DR is included among the naval functions of defending the homeland, deterring conflict, responding to crises, defeating aggression, protecting the maritime commons, and strengthening partnerships. Following the 2014 QDR categorization of HA/DR as power projection, HA/DR is a “smart power” mission of power projection highlighting the use of military forces as an element of national power for diplomatic, informational, and also economic ends. The HA/DR segment highlights the 2010 Haiti earthquake response, 2011 earthquake/tsunami in Japan, and the 2013 typhoon Haiyan response in the Philippines. The maritime strategy emphasized the increased number of large scale events and the corresponding importance of HA/DR to maritime strategy. Several trends converge that keep humanitarian assistance/disaster relief on the agenda. First and foremost, as learned after the 2004 Indian Ocean earthquake and tsunami response, if the United States is going to protect strategic, political, economic, and ideological interests abroad, then we must employ all instruments of national power to support HA/DR missions. The consequences of not doing so invite too much risk to destabilizing the current world order. Assisting in response and recovery support U.S. interests by rebuilding economic trade capacity, reassuring allies, shoring up ungoverned spaces that destabilize regions and germinate terrorist safe havens, and living up to the American values. The number of large scale natural disasters continues to escalate since the 2004 earthquake/tsunami and climate change scientists predict increased incidences and severity of natural disasters. Whether HA/DR is a derivative of forward presence or an embedded capability of power projection, whether it is labeled environmental destruction or climate change, whether it is to fight terrorism or promote broad international cooperation for global challenges—the evidence shows that HA/DR will remain a mission for the armed services no matter who is leading the country. Whatever the justification for doing HA/DR operations, it will continue to support U.S. interests and the strategic consequences of getting it wrong are too great. So, let’s do our part in doing it better! Commander Andrea H. Cameron is a Permanent Military Professor in the National Security Affairs Department teaching policy analysis. She is also a member of the NWC Civilian-Military Humanitarian Response Program (HRP) which partners with leading universities and humanitarian organizations in order to advance civilian-military engagement and coordination during complex emergencies and disasters. W. Eugene Cobble, H.H. Gaffney, Dmitry Gorenberg. For the Record: All U.S. Forces’ Responses to Situations, 1970-2000 (Alexandria: Center for Naval Analyses Corporation, 2005). Alfred Thayer Mahan. The Influence of Seapower on History (New York: Dover Publications, Inc., 1890). Naval Warfare (Naval Doctrine Publication 1) reprinted in U.S. Naval Strategy in the 1990s, ed. John B. Hattendorf (Newport: Naval War College Press, 2006) p 115-116. “The Naval Operational Concept,” signed by Chief of Naval Operations Admiral Jay L. Johnson, reprinted in U.S. Naval Strategy in the 1990s, ed. John B. Hattendorf (Newport: Naval War College Press, 2006) p 163. National Security Strategy 2002, signed by President George W. Bush. National Defense Strategy 2005, signed by Secretary of Defense Donald H. Rumsfeld, p 12. Office of U.S. Foreign Disaster Assistance (OFDA) Annual Report for Fiscal Year 2005. (Washington, D.C., U.S. Agency for International Development, 2005), 15. Retrieved from http://pdf.usaid.gov/pdf_docs/PDACH800.pdf on 18 October 2014. OFDA Annual Report 2005, p 18. OFDA Annual Report 2005, p 25. OFDA Annual Report 2005, p 17 and p 22. Bruce A. Elleman, Waves of Hope: The U.S. Navy’s Response to the Tsunami in Northern Indonesia (Newport: Naval War College Press, 2007), p 22. Elleman, Waves of Hope,, p 10. Elleman, Waves of Hope,, p 21. Elleman, Waves of Hope, p 101. Department of Defense Directive 5100.46. Foreign Disaster Relief (FDR). Signed by Ashton B. Carter, Assistant Secretary of Defense on July 6, 2012. Elleman, Waves of Hope, p 28. Elleman, Waves of Hope, p 9. Wall of Water: U.S. Troops Aid Tsunami Victims. Department of Defense Year in Review 2005. Retrieved from http://www.defense.gov/home/features/2006/2005yearinreview/article2.html on December 17, 2014. Elleman, Waves of Hope, p 92. Elleman, Waves of Hope, p 102. Elleman, Waves of Hope, p 105. National Security Strategy 2006, signed by President George W. Bush, p 15. National Security Strategy 2006, p 47-48. Quadrennial Defense Review 2006, signed by Secretary of Defense Donald H. Rumsfeld, p 12-13. Quadrennial Defense Review 2006, p 14. Cooperative Strategy for 21st Century Seapower-2007, signed by Commandant of the Marine Corps, General James T. Conway, Chief of Naval Operations Admiral Gary Roughead, and Commandant of the Coast Guard, Admiral Thad W. Allen, p 14. IPCC, 2007: Climate Change 2007:The Physical Science Basis. Contribution of Working Groups I to the Fourth Assessment Report of the Intergovernmental Panel on Climate Change [Core Writing Team, Pachauri, R.K and Meyer, L.(eds.)]. IPCC, Geneva, Switzerland. IPCC, 2007: Climate Change 2007:Impacts, Adaptation and Vulnerability. Contribution of Working Groups II to the Fourth Assessment Report of the Intergovernmental Panel on Climate Change [Core Writing Team, Pachauri, R.K and Meyer, L.(eds.)]. IPCC, Geneva, Switzerland. National Military Strategy 2011, signed by the Chairman of the Joint Chiefs of Staff, Admiral Michael G. Mullen, p 15. Defense Strategic Guidance 2012, signed by President Barack Obama, p 6. Quadrennial Defense Review 2014, signed by Secretary of Defense Chuck Hagel, p 60-61. National Security Strategy 2015, signed by President Barack Obama, p 7. Cooperative Strategy for 21st Century Seapower-2015, signed by Commandant of the Marine Corps, General Joseph F. Dunford, Jr., Chief of Naval Operations Admiral Jonathan W. Greenert, and Commandant of the Coast Guard, Admiral Paul F. Zukunft, p 19.